Materials Science and Engineering represents a key field of research in the Federal Republic of Germany and especially in the materials state of North Rhine-Westphalia. Knowledge about materials is essential for solving the grand challenges of mankind (energy, transportation, health and environment). 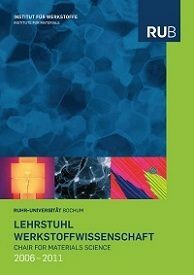 The mission of the Chair for Materials Science and Engineering at the Ruhr-Universität Bochum is to perform research and teaching on the processing, the microstructure and the properties of structural and functional engineering materials. 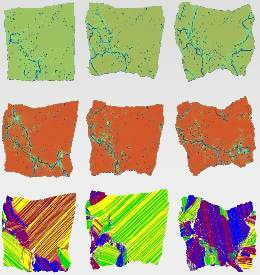 The formation and evolution of materials' microstructures is in the centre of our interest. We work on structural materials (especially high temperature materials) and functional materials (especially shape memory alloys). We investigate the kinetics of solid state reactions, employ advanced characterization methods and we model the behavior of materials. Our focus is on identifying elementary transformation and deformation processes. We collaborate with researchers from academia and industry from all over the world. At the Chair for Materials Science and Engineering, students learn about metals, ceramics, glasses, polymers and composite materials. With partners from industry we work on Research and Development projects. Please contact us in case you are interested in our activities.